South Lake Tahoe Ice Arena is Lake Tahoe’s only year-round, indoor ice arena open for public skating. Privately operated by Tahoe Sports and Entertainment, Lake Tahoe Ice Arena is home of the award winning Tahoe Grizzlies youth travel hockey teams, the Tahoe Cubs in-house youth hockey program, Adult League Hockey, Wake n’ Skate free before school program, Lake Tahoe Epic Curling, and Tahoe Hockey Academy. TSE emphasizes our distinct location, on the shore of Lake Tahoe, to differentiate our tournaments and training programs. Not just another rink, this is a destination venue. All programming at Tahoe Arena is complemented by the attributes of Lake Tahoe itself. Attracting athletes and their families to Tahoe Arena from across the world has given TSE the ability to drive community outreach projects. A FREE Program, Good Morning Lake Tahoe Elementary Students! 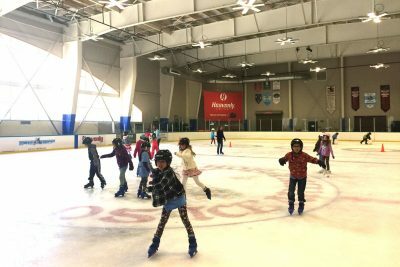 You are invited to SCORE* at the Lake Tahoe Ice Arena on school day mornings. Come have fun! 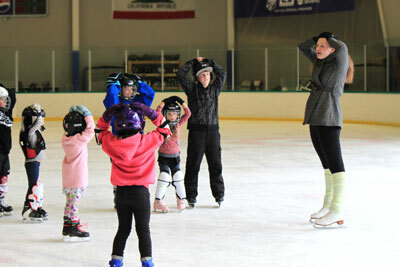 Lessons taught by professional instructors are the fastest and safest way to learn and enjoy the sport of ice skating. 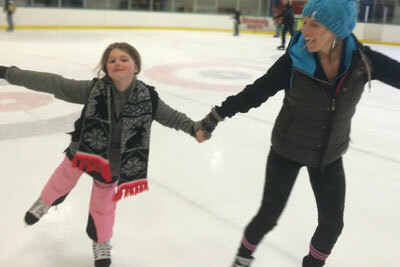 Skating classes at South Tahoe Ice Arena include the following benefits. Daily public skate sessions are available, including night skate sessions on the weekends. Visit our Arena Schedule for times. 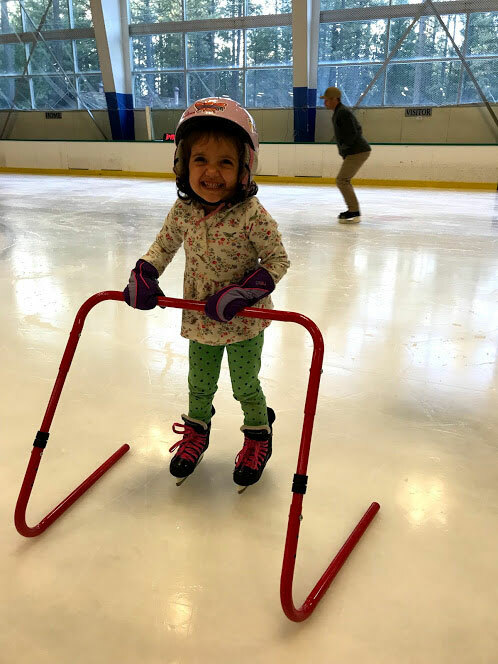 General Admission with hockey or figure skate rentals $15.00 | If you have your own skates $13.00 | Child $6.00 (age 1-6) | Childrens Skate Aids $5 per half hour. Grab your friends and family and make your way to Lake Tahoe’s only NHL sized arena.